DavidTennantOnTwitter.com presents a new David Tennant Treat each day! 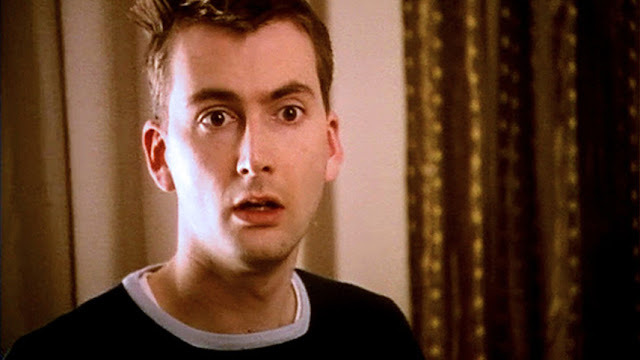 The David Tennant Treat 4 Today is a video of David in Sweetnightgoodheart from 2005 when he played the character Pete. Apologies if the video (which is not of great quality) doesn't play in your country. DavidTennantOnTwitter.com presents the David Tennant Treat 4 Today which can be anything David Tennant related from a photo to a video to a radio interview to just a sweet story about him. Check back tomorrow for the next David Tennant Treat 4 Today. And remember to check DavidTennantOnTwitter.com for the most frequently (and fastest) updated David Tennant website. If you repeat this information online please remember to give credit to DavidTennantOnTwitter.com. Simple theme. Powered by Blogger.